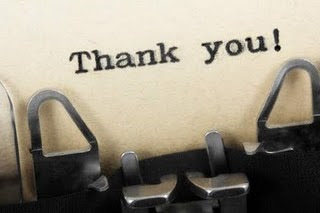 It's the season of thanks and I have to thank you my readers, above all, for being so very loyal and so very inspiring for me during these years which have made the Shrine the success that it is and me richer in experiences and feelings. So, without further ado, I have a full bottle of the newest Trésor Midnight Rose by Lancôme to give away to one lucky reader as a small token of gratitude.It's new and fit to be given as a gift. All you need to do is post a comment on this post saying what you're thankful for yourself and you're eligible to enter the draw, which will remain open till November 27th midnight. No restriction on shipping destination. Most of all I thank God for His mercy. I need it! And I thank God for my family and for making 2011 a very special year. At the moment, I am most thankful for the feeling that I have everything I need (and enough to give some away). That I am surrounded by a loving family and friends and I hope I am as loving to them as they are to me. I am thankful for my friends. Without them, life would be dull. I am grateful for being able to pursuit my happiness and that my success depends on me. In this very moment there are so many people without chances to live normal life. I am glad that my profession will ensure that at least some of them have happier tomorrow. I'm thankful for those wonderful people around me who inspire me every single day, for the fortunate that I can focuse on things I find important in life. I am thankful of the surf that keeps on pumping in Hawaii. Pray for more surf! Hang loose everyone! I am thankful for my wonderful husband and my health. Also my lovely family and friends. I am thankful for the love I get every day. It makes life creative and meaningful! Greetings to all your readers! I'm thankfull that my brother in law came home safe and sound from Afganistan today. I'm thankful that I got my friends and family. I'm thankful for my family and friends and the gift of good health. I am thankful for the Lord's amazing G.R.A.C.E. WOW. Thank you for the giveaway as well. I am thankful for my good health, good spirits, my family, and that I live in the United States. I'm thankful for sensory experiences, like smelling (and reading about) perfume in the never-ending search for the "perfect scent." My life is richer for it. I am thankful for my wonderful husband, and my good health. I am also thankful for perfumeshine as my resource for perfume knowledge and being eligible for this generous draw! First of all I'd like to thank you for giving me a most welcome colourful facet to my daily routine through your enlightening posts. And thanks to who ever has kept my bodily and spiritual health free from harm. I am thankful for my family whose love and laughter and craziness keep me going all year long. I'm thankful for wonderful mad artistic and musical friends and family! I am thankful for all the love that surrounds me. I feel truly blessed. Thank you to you also for this wonderful blog from which I've learnt so much. Finally, I am so thankful for having the chance to experience so many beautiful perfumes! I am thankful for my sense of smell! I am thankful for my very dear friends who help me stay sane and for all the great experiences I have through volunteering. And I am thankful for the generosity of the perfume community, not just through draws like this, but through the wealth of knowledge shared by bloggers like Elena on this great site and others. I am thankful for my peace of mind, and my daughter's good health, above all else. I'm thankful for my family's health and for the fact that both me & my husband still have our jobs. I'm also thankful for not developing an allergy to perfume, even though I lately became allergic to quite a few things that didn't use to bother me before. I'm really thankful to God for my good health. I've gone through a hemithyroidectomy on May this year where i got the right lobe removed, so my health has now improved a lot since the surgery. I can breathe better and there's no mucous stuck my throat anymore.I'm thankful to my parents for always being there for me, my caring friends and last but not least my love for perfumes which has kept me positive during the time I got sick and all. Perfumes really got me distracted from thinking about my illness and i'm thankful for that. I am thankful for my cats who are my best friends and always loyal company, cozy bed-mates, and very entertaining with their antics and adventures! I am thankful for my family, I can't imagine not being part of this family. We might not be very well off, but my parents try to provide me with everything which I need. Sometimes, I envy the more well-off friends that I have and get a little bothered by the financial limitations of my family. However, after reflecting on all that I have, I feel that I am really blessed and privilege to have a family that is constantly there for me. Thank you Mum and Dad, for always wishing me luck when I go to school! Thank you my dear sister, for always giving me such great advices when I'm at loss! I am thankful for my lovely daughter whom is expecting a baby in May and for my special handicap son whom I adore completely,I gained so much patience raising him and for that I am thankful everyday. Very thankful for my wonderful family. I am thankful for son's recent successful surgery and the love of family and friends. Thanks, also for interesting reading and having a giveaway! Aside from the "usuals" (family, friends, my job, etc), this year I realized how thankful I am for my sweet black Lab, Gypsy. When the afore mentioned "usuals" are busy, distant, or causing minor/major stress, Gypsy is always there at the end of the day with a wagging tail and a kiss on the nose. I plan on spending the rest of this Holiday Weekend taking her to her favorite places around the city and making sure she knows how much I appreciate her camaraderie. There are so many things in my life I am thankful for that it would take pages, so I will just name four. My three perfect, beautiful, infuriating, challenging sons, and my darling husband. Thanks to them my life is vibrant. I am humbled to be given the gift of good friends. I am thankful to be able to be irritated by 'the little things' - that is truly a luxury. I am blessed to be in good health. Above all, I am thankful to be thankful for so many things! My thanks to my women friends who are my family and who support me as they would a sister. I am grateful for waking up another day, for my children and husband, for family and friends. Grateful for the teachings of the Buddha and my higher power, grateful for a sumptuous feast yesterday, made richer by the friends in attendance. Grateful for the small blessings of simple things, and for the ability to experience the sensory pleasures of this world, which include some extraordinary fragrances -- some simple, while others contain entire worlds in a bottle. And grateful for gifted writers such as yourself who occasionally share their fragrance bounty with others. Please enter me in the drawing, and I wish you and yours a wonderful holiday season. i'm tremendously grateful for my family, my friends, my health, & this big beautiful sensual world! please enter me in the drawing & thanks, as always, for your blog. I give thanks for my family and also for all the good there is in the world, despite so much seeming news to the contrary. Elena, thank you for this wonderful blog! Despite my general grumbling nature, I am grateful for a lot of things. I'm grateful for my husband and my friends, who are my chosen family. I am grateful for my companion cats, and that I live in this age when there are medications to keep me alive. I'm grateful for the internet, that keeps me in touch with the world and people with common interests. I'm grateful for the plants, and the birds, and sun and rain. I'm thankful for my family and friends, who are the salt of the earth, and I'm thankful for the Internet, allowing me to communicate with like-minded people. And I'm thankful for discovering this great blog. I am thankful that my family and friends are healthy and happy. I am thankful for my family and friends, who are all healthy and happy, something which keeps me sane. thankful for the gift of smell as well, as a lovely reader mentioned above! thanks E.
I am thankful for being so much better (health-wise) than I have been in previous years - and thankful for the support I have had from others. And, of course, to have the most beautiful creature in the world - Rufus - sitting by my feet! I'm thankful for my health & that I still have a job. Thanks for the draw. Thanking God for an awesome life and bestowing unique creativity to perfumers who fill this beautiful world with a sweet smell that makes us outstanding. Happy Thanksgiving and for awesome bloggers who constructively guide us to get the best always! I am thankful to be alive & that I can spend the holidays with my family, friends & pets! i am thankful for my health and the good health of those around me! I am very thankful to have my 2 little boys!Happy thanksgiving to you and thank you for the draw! I am thankful for ally loved ones. And for iPhone's auto- correct. That should read "all my" not ally. Grace that can pardon and cleanse my sin! I am thankful for my loving family and the continued progress of my sons' health. I am also thankful for the many blessings I receive each day, grateful that I am able to say thank you every day! I am thankful for my wonderful family, for all the good health that most of us have, that we have enough of what we need in our lives. I am thankful that we are planning and hopeful for the future. Optimism is important. And for good smelling friends. And also for spices that make a house smell good, good teas, candles, perfume contests and hopefully I'm thankful to win one for once. Ha! Hope everyone had a lovely holiday! Hi, I am thankful that the intelligence and creativity of my fellow men and women has brought me so much joy in my life. I'm thankful for my husband, who has been supporting me while I attend graduate school. I'm very lucky! I am most thankful for my family, I don't know what I do without them :) love them to death! I give Thanks for the mystery of Life.